Today’s post follows on from my Christmas Wishlist: Beauty Gifts You Never Knew You Wanted post – a lustful list of beauty gadgets for even the fullest beauty cabinet! I always welcome new beauty pals to the party – but how did this one do? 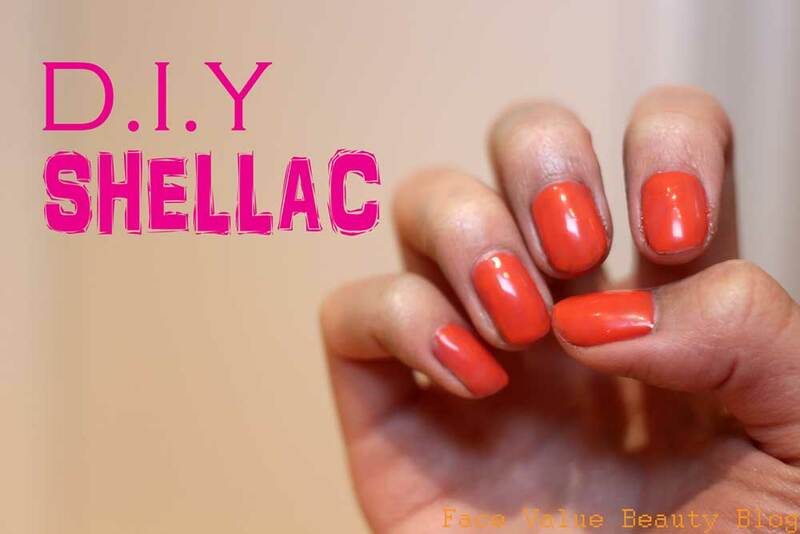 Read on and find out..
A DIY Shellac kit for you to do at home – you paint the nail and then cure it with the UV Lamp which comes with it. 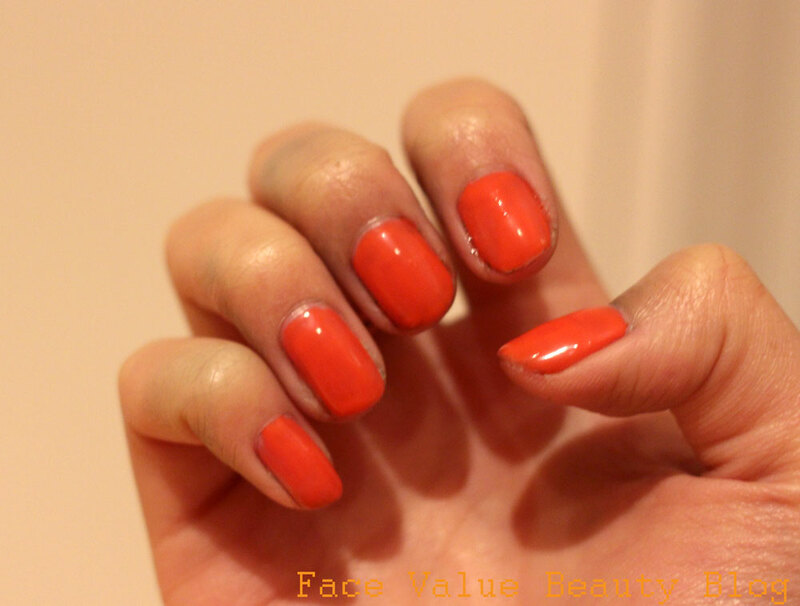 It then sets like a gel/shellac nail – beautifully shiny and smooth! The instructions say to smooth your nails with the emery board but I decided not to because a) my nails are damaged enough as it is and b) it just feels wrong! 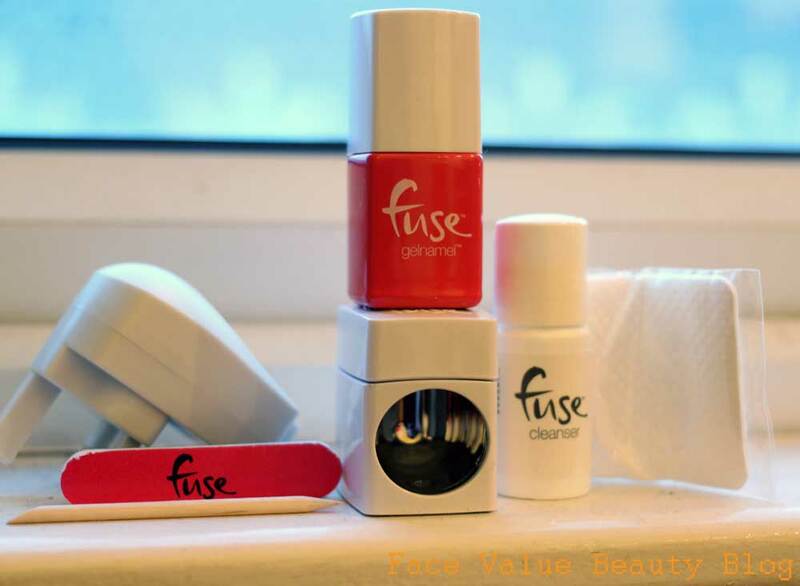 Next, use the cleanser provided to wipe your nails clean before applying one coat of the Fuse Gelnamel polish. The polish itself is “self-levelling” so ridges disappear after a few seconds – if only all nail polishes did this, I swear mine are always ridgy and lumpy unless I apply a really thick coat. 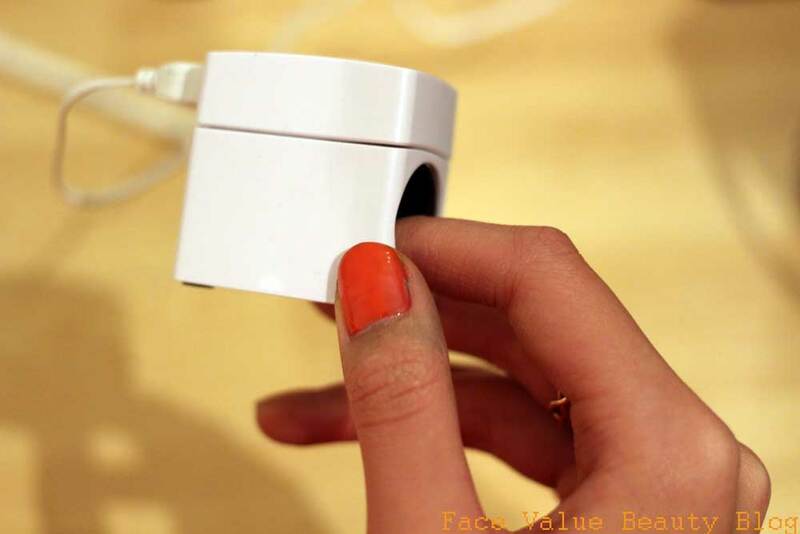 Once painted, plug in the LED lamp to either a USB or the mains, put your nail in and press the button! 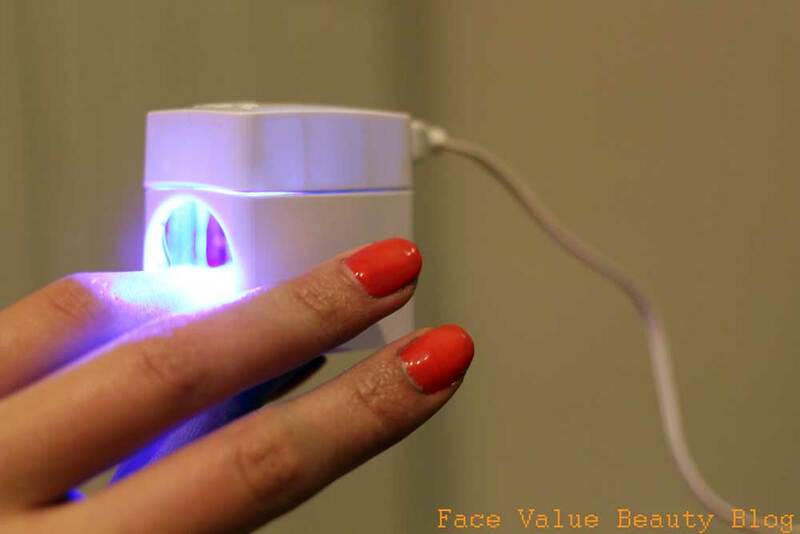 After 30 seconds, the blue light will stop and your nails will be finished – tadaaa! Immediately dry, it’s quicker than actually painting your nails normally and the finish is definitely better too. 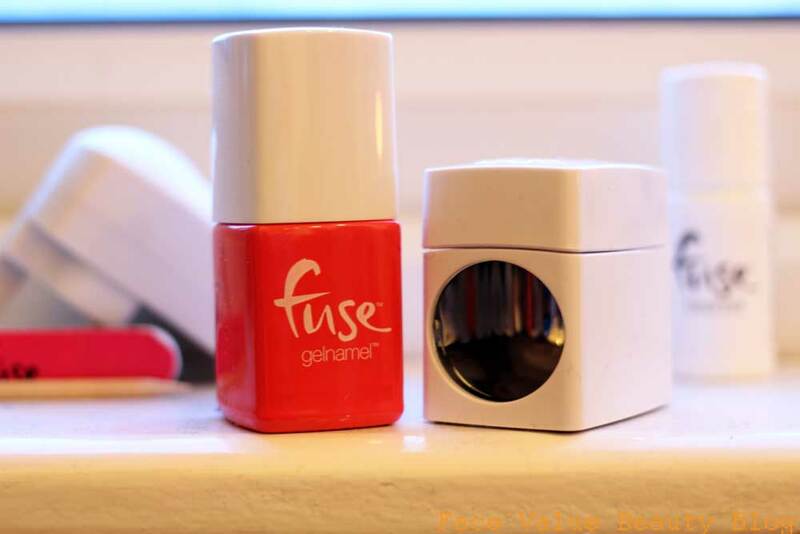 This £35 Fuse Gelnamel starter kit contains one full size polish, a mini LED lamp, a bottle of cleanser, a coarse emery board, some gauze wipes and a hoof stick. A sizeable number of bits for such a small box. The first thing that drew me to this Fuse Gelnamel kit was that the lamp itself is a GREAT size. It’s about the size of a nail polish bottle and it does one finger at a time rather than the whole hand. Well, normal Shellac/Gel has never chipped on me but unfortunately Gelnamel barely made it to the end of the week before small bits started flaking off. Could partly be due to my weak nails which have been flaky and brittle in this weather – partly because I have a typing heavy desk job but to be honest, I didn’t mind it too much – I just did small touchups and they were good as new! Overall, I would DEFINITELY buy this and I’m going to invest in some other colours too. The finish is really shiny and solid and it dries instantly, so I would actually prefer it to painting my nails with normal polish! 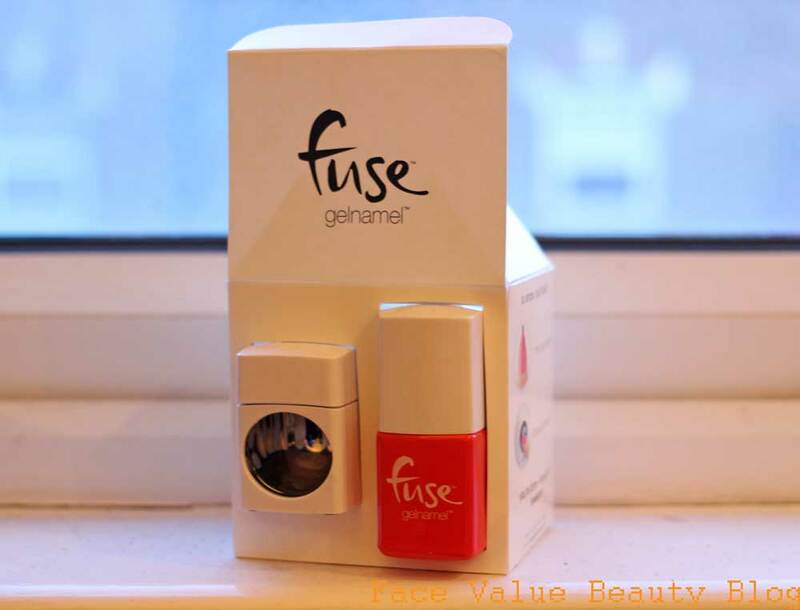 You can buy Fuse Gelnamel at Boots. I’ll be revealing my top tips on how to remove gel nails next week! What do you think? Would you do your own gel nails? Next Post Calling All Beauty Pros – Wanna Be On TV?